Event industry stalwarts from companies including Smyle have grilled Eventia's chairman Simon Hughes on the trade association's plans to merge with the IVCA. Speaking at an event at Rydges Kensington yesterday (8 October), Hughes said that he was looking into why so few members reacted to the planned merger, after only "a dozen" responses came back from an emailed questionnaire. "It seems members are waiting for more details before casting judgement on the merger," added Hughes. "We’re hoping the merger will give us more traction with Sebastian Coe and other government departments." The merger could mean more income for the trade body, with an expanded Awards proposition and stronger representation in government. Eventia’s past-chair Rob Allen is currently helping draw up proposals for what the proposed partnership would mean for members, and a rollout shedule was revealed last month. DRP Group’s managing director Dale Parmenter, who co-chaired the debate, said that members and officials at the IVCA understand the need to merge with the events industry and there is willing from both sides. 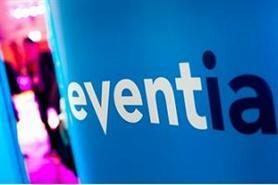 However, Smyle’s director Rick Stainton said that government representation was not top of the agenda for most Eventia members, adding that Eventia-IVCA would need to present a clear case as to the benefit of the events industry to government. "The problem is no one can define what our industry is, what it does and its potential employment contribution. We need figures to take to government to define why we matter," he added. Hughes responded by emphasising the importance of MPI's ongoing research. Meanwhile, the possibility of further mergers with related event associations was discussed, with Hughes confirming meetings with other event association bodies and chair of Eventia’s regulation committee Brian Kirsch saying there are too many associations in existence. "Mergers will happen, but they will take time," said Kirsch, adding that the Eventia-IVCA merger could promote others to follow suit. However, he warned that obstacles include convincing individuals with "a vested interest in the status quo". Elsewhere, EGI Live founder Tony Evans said that the merger could give the event industry a greater insight into what corporates are looking for. He called for a list of examples detailing why clients should be encouraged to spend money on events.